Nice 3 Bedroom Raised Ranch with a Family Room in the lower level for entertaining. 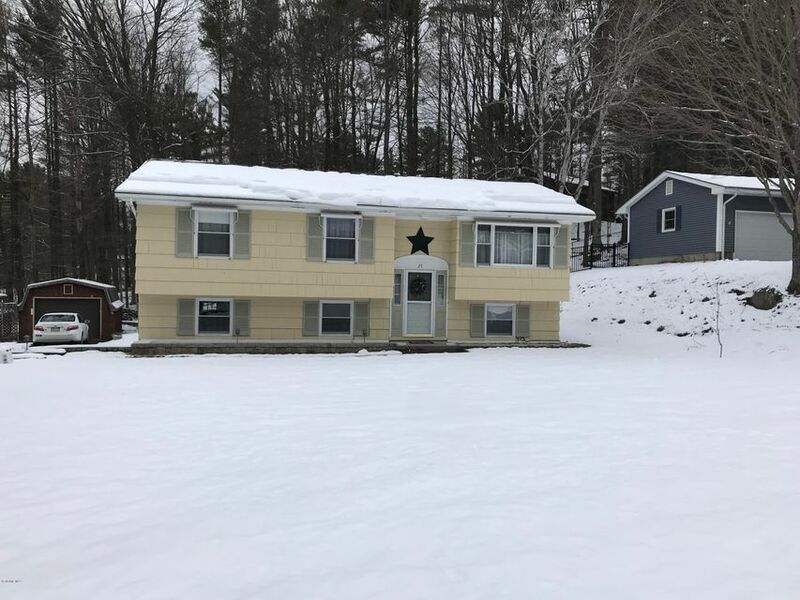 Two Car Garage and also a single Car Garage that is heated. Solar Panels and a pellet stove to help reduce your electric bill This home has a nice yard and is very cozy. A must see.